Plays on Varria III. 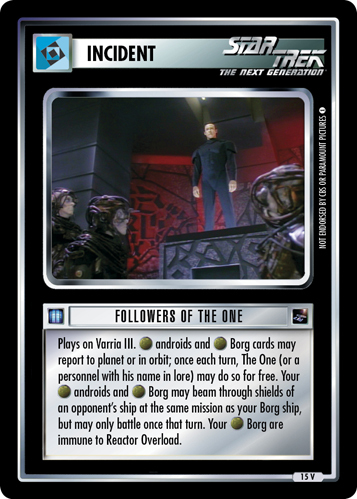 androids and Borg cards may report to planet or in orbit; once each turn, The One (or a personnel with his name in lore) may do so for free. 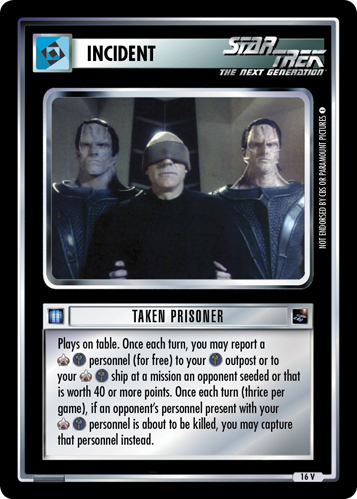 Your androids and Borg may beam through shields of an opponent's ship at the same mission as your Borg ship, but may only battle once that turn. 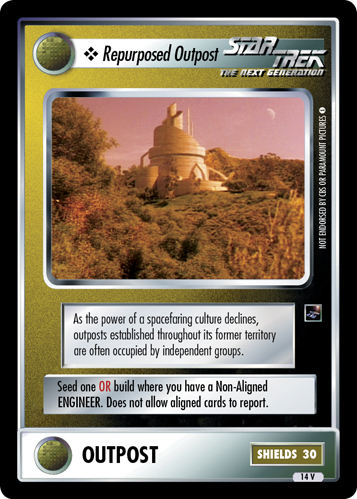 Your Borg are immune to Reactor Overload.